The good feature of the micro-circulatory system is closely tied to the tropism of the vessels. An insufficient tropism can alter the permeability of the vessels with endothelial excessive passage of water and protein in the tissues. Signs and symptoms are edema, swelling in the legs, feeling of heaviness, pain, night cramps. The same sequence is found at the level of the pathophysiology of hemorrhoidal plexus, both in chronic hemorrhoids that in the hemorrhoidal crisis. 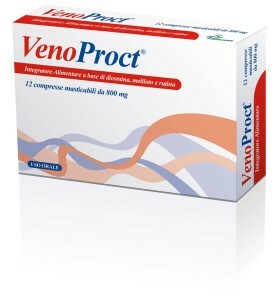 Thanks to its formulation based on Diosmin, Rutin and plant extracts of Sweet Clover, Red Vine, Butcher’s Broom and Boswellia, VenoProct promotes the tropism and the function of the microcirculation (counteracting the feeling of heaviness in the legs), the drainage of body fluids, the functionality venous circulation and the hemorrhoidal plexus. Rutin is a bioflavonoid known for its trophic properties on the microcirculation: by binding to the vessel wall helps to reinforce it and to adjust the permeability. Diosmin is the most effective among the flavonoids in normalizing venulo-capillary permeability (edema) by the increase venous tone and reduction of the response of the receptors to catecholamines. Melilotus officinalis pallas is an excellent antioxidant and promotes the tropism of microcirculation, blood circulation, the functionality of the hemorrhoidal plexus, the drainage of body fluids and the physiological capillary permeability. 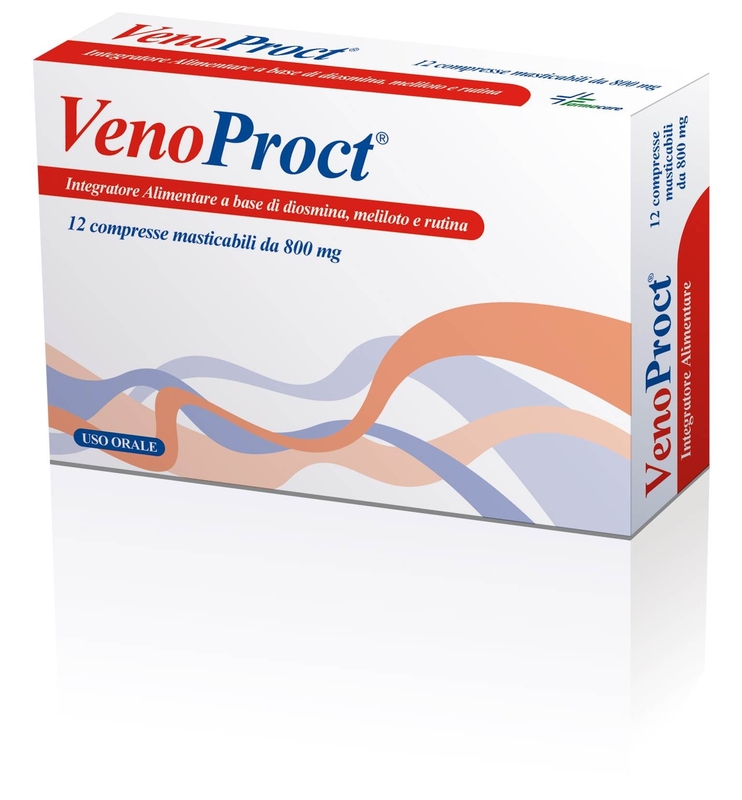 Vitis Vinifera: promotes the function of the microcirculation counteracting edema, heavy legs, modulating the proper vascular permeability. Ruscus aculeatus: enhances the functionality of microcirculation, blood circulation and the function of the hemorrhoidal plexus.